Picador designer Katie Tooke shares the story of bringing the miniature characters from Jessie Burton's bestselling novel to life for the book's cover. The tv adaptation of the Jessie Burton's Amsterdam-set story, The Miniaturist, is coming to BBC One this Christmas. Picador designer Katie Tooke shares the story of bringing the miniature figures to life when creating the book's cover. 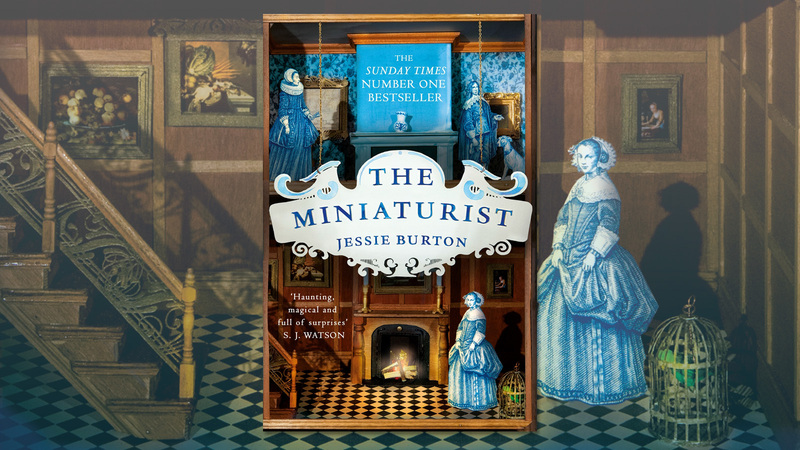 I was incredibly lucky to get to design the cover for The Miniaturist by Jessie Burton. It’s set in the late seventeenth century during the decline of the Dutch Golden Age and follows the story of eighteen-year-old Nella Oortman, who begins a new life in Amsterdam as the wife of illustrious merchant trader Johannes Brandt. He gives her an extraordinary wedding gift – a cabinet-sized replica of their home, to be furnished by an elusive miniaturist whose tiny creations mirror their real-life counterparts in unexpected, life-changing ways . . . I found the novel incredibly evocative and could hear, smell, taste and touch the descriptions of the house and its miniature version. I thought it would be fascinating to bring the cabinet house to life, so I researched model makers, animators and illustrators and came across Martin and Line at Andersen M Studio. The mood and tone of their work fitted perfectly with the atmosphere I wanted to create so I commissioned them to build a real-life miniature house. Meanwhile, Dave Hopkins at Phosphorart researched the period and sketched the characters, using pen and ink for the final artwork. We cut the figures out and positioned them in the house before Martin photographed the scene with all the elements in place for the cover. Everything you see in the design has been hand-made, from the picture frames to the parakeet. Just like in the novel, the more you look the more you see – the birdcage, the delicate frames and candlesticks, the little chains that hang the title and author panel. I am thrilled with the outcome and hope you like it too. To see more of how each of the elements were made and brought together, watch this video from Anderson M Studio.